Check out this awesome Unimak Bear harvested by Brian King. 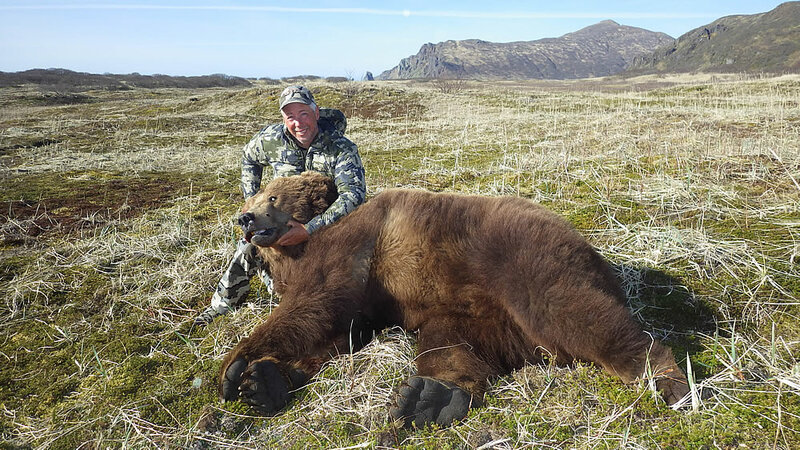 Brian withstood the challenges of backpacking away from his base camp and spending multiple days in a spike camp to get a chance at this impressive spring bear. Sometimes that extra effort is what it takes to fulfill a dream.